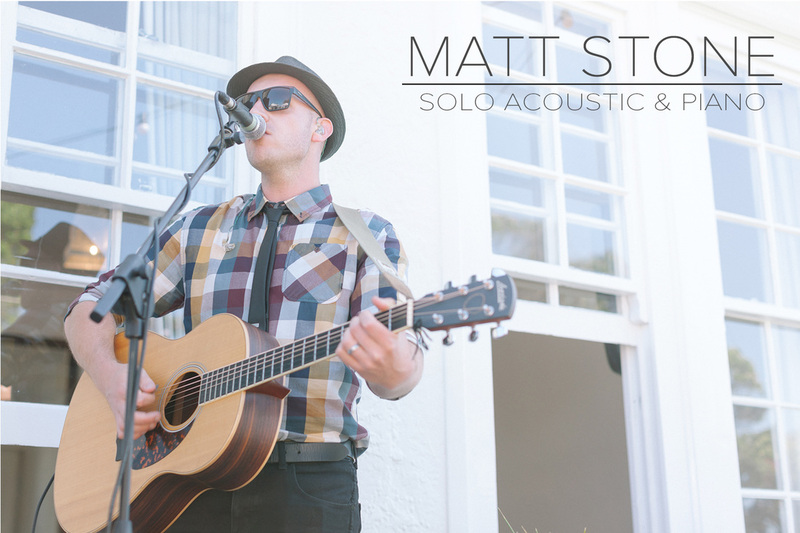 Matt Stone is a multi-talented musician who is perfect for providing background entertainment at your wedding, birthday or other event. His ability to play guitar, keyboard/piano and sing means he can play a wide range of songs in an equally diverse number of styles and he is able to use his outstanding ear to improvise (or pre-learn) any extra songs you might want for your specific event. As a member of well-known covers bands, Dragonfly & Blue Steel, along with his own bands, Radio Radio & Springfield, Matt has over 10 years experience in the music industry and teaches music during the day as well as owning a Diploma of Audio Engineering - ensuring that his performance sounds professional and is appropriate for any occasion and venue. He supplies all his own equipment (sound equipment, guitar, keyboard, lighting) so you don’t need to worry about anything - just leave it to him and enjoy the atmosphere he creates!